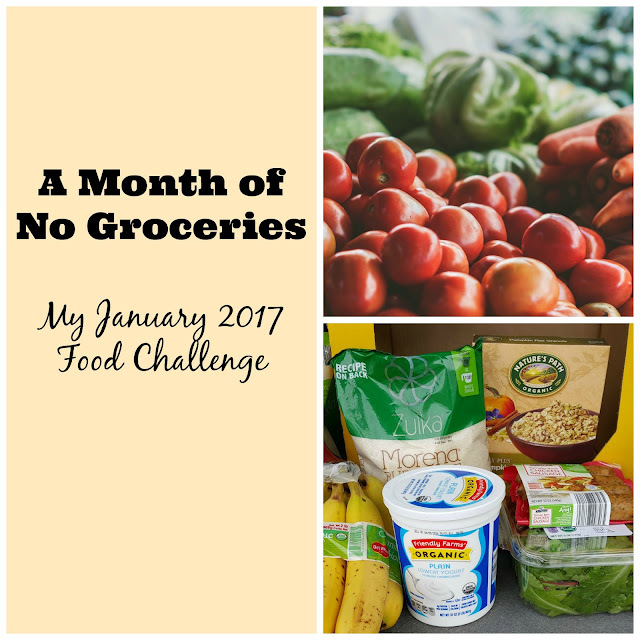 A Month of No Groceries! Yes, you read that title right. We are currently in a month of buying no groceries. We did this in November of 2015 and you can read about it here. This time, there are a couple of reasons why we are doing this. The first of course is to try and save some money in an overly tight January budget. The second reason however is more exciting. Our steers are going to be butchered in a week and we need all the freezer space we can get! When we did this in the past, we had done it on a whim, and during November. I really didn't think it through, knowing that we would end up having to buy somethings for Thanksgiving, but we plunged forward and made it through. Yes, we still bought a few groceries, but not nearly as many as we would have during a regular month. This time around is going to be a little different. We really are under than gun to clean out some freezer space for the beef that we will soon have. Also January is always a tight month for us. There is Christmas that we just spent money on, taxes that we just paid, plus this year our Christmas present to ourselves was a little pricey...a fireplace. A gas log fireplace. It is something that we built ourselves and are so proud of. It is not quite finished yet, but when it does, I will post pictures and how we built it. We are hoping that since it is gas, it will save us money on our electric bill. So in the end, it will end up paying for itself! So back to the month of no groceries, I really do mean what I say. We are not going to be spending money on groceries during the month of January. Each week on Monday, I will update you all on how we did with the groceries and what I cooked using food out of our pantry and freezer. So for week one's update: yes we bought a few grocery items. We bought two cartons of almond milk (as soon as I get a decent blender, I will be making it myself!) and some cheese. We spent all of around $7 for the three items, but it should get us through the rest of the month. My yummy beer bread! 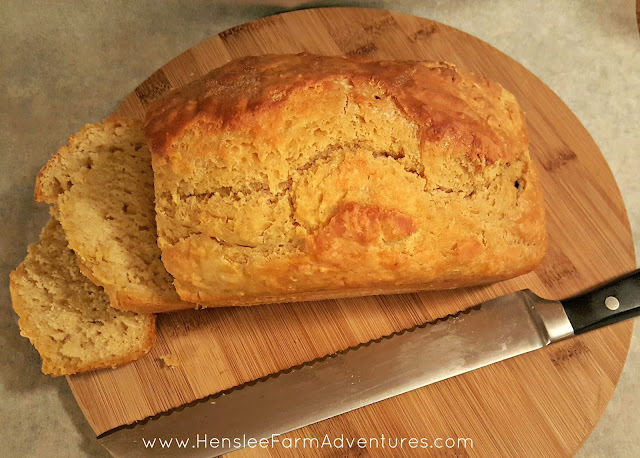 A quick and easy way to make bread. So you can see that everything that I made was something that I had in my freezer or pantry, but mainly freezer. 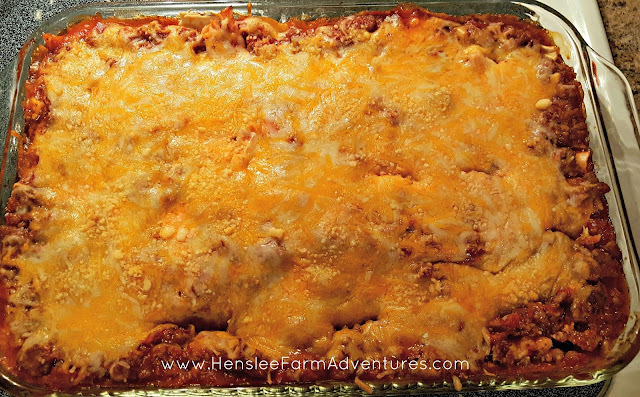 While I was cooking the hamburger for the lasagna I decided to cook some extra and I will be using that for a Mexican meal this evening. I love that I was able to take my left-overs from Wednesday and turn them into a whole new meal for Thursday. Doing this challenge really helps me plan out what I am going to cook, and how I can use the left-overs for other meals. The best part is that I am using food that I already have, I am not wasting anything, and I am saving money that we need for other things this month. Have you ever done this challenge? Want to join me? Let me know in the comments below! A New Year, and a New Recipe!